WAFFLES: Did you see the new TV, Boss? KATIE: Ok, I'll play along. No Waffles, I haven't seen the new TV. What are you watching? 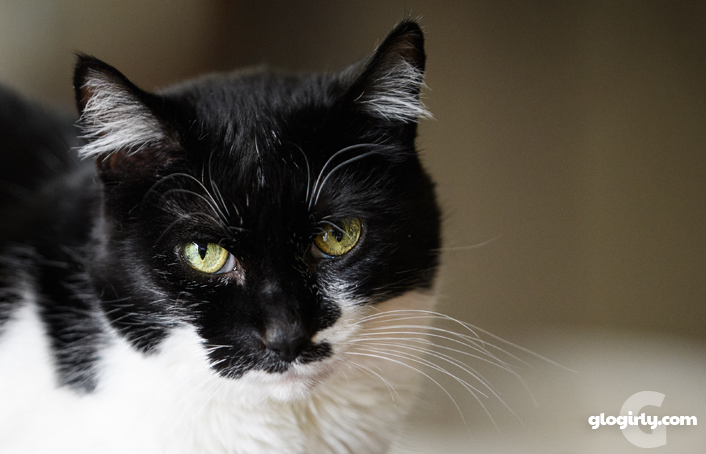 WAFFLES: I had no idea there was a show about her green socks. KATIE: I hear the show starts out with two green socks but by the time it's over there's only one. It's kind of a mystery, sock-napping sort of thing. WAFFLES: But what happens to the sock? Do they find it? KATIE: You're just going to have to watch the show. 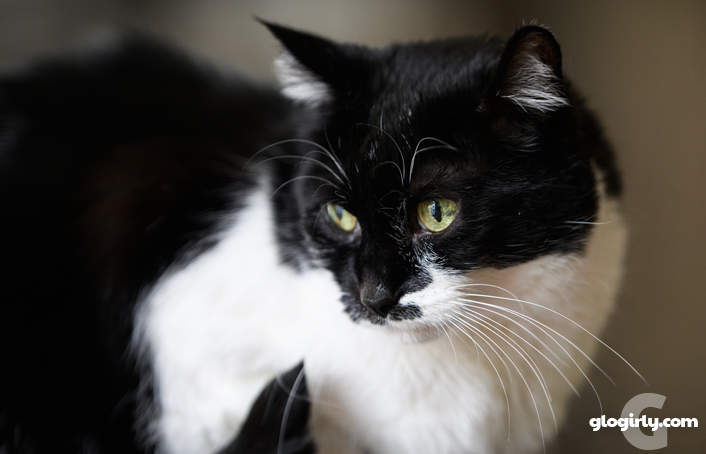 Last week, the day before Glogirly was due to leave on her big trip to Best Friends Animal Sanctuary (post #1 will publish this Friday by the way! ), the stackable washer/dryer met a tragic end. In order to have clean underwear for the trip, Glogirly had to dig out her quarters and head off to the local laundromat. Except there are hardly any laundromats anymore, so it wasn't exactly local. Fast forward to yesterday when the shiny new washer/dryer arrived. We think the two guys carrying it up the two flights of stairs with the four 90 degree turns were probably whispering a few HBO words. It's a stackable unit so they had to carry the equivalent of a washer AND a dryer. Glogirly had to look away for fear of all the dents and paint scrapes they were likely making on the walls coming up the steps. But we're back in business with our very first front-loading washer. Though Katie is only marginally impressed, Waffles is absolutely fascinated. 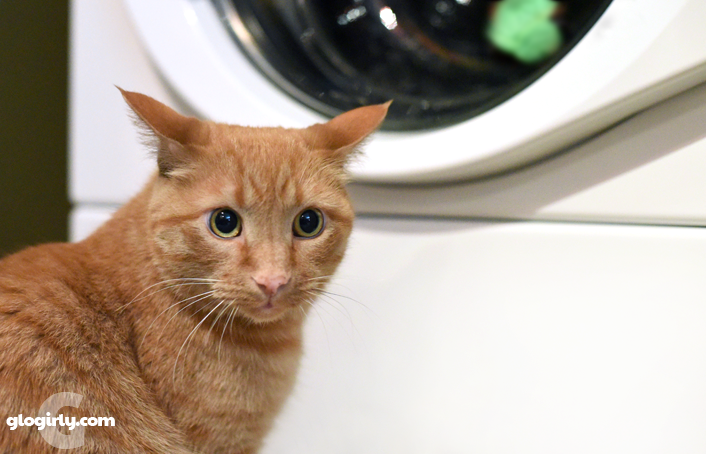 When it started up for the first wash, he approached slowly, crouched low to the ground. Closer and closer he crept, until his nose was just about touching the glass. 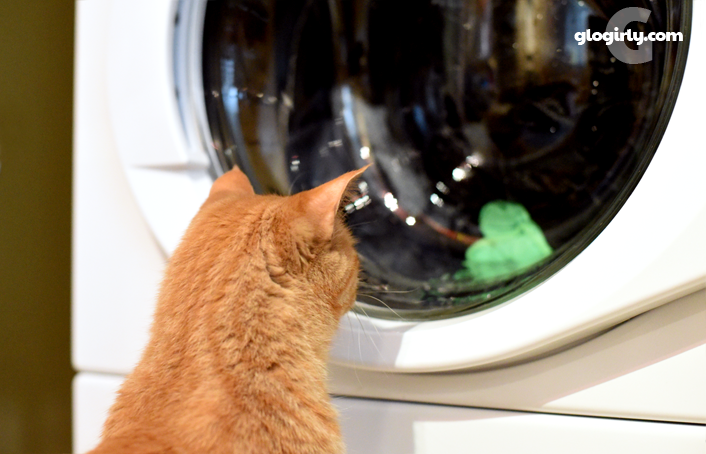 And there he sat, mesmerized, until the spin cycle gave him pause and he spun his head around just to make sure everything was ok.
Waffles already loved laundry day, what with all the warm sheets and bed making. But this gives the joy of laundry a whole new meaning for him. My human says front loading washers rule! I wouldn't know, ours is located in the garage, where I'm not allowed unless I'm in my carrier and being placed in the car. We got a front loader too - and I's been caught watchin it! We have a top loader its SOOOOO boring!! We have a boring top loader too.... Glad to see Waffles is has found a new tv! 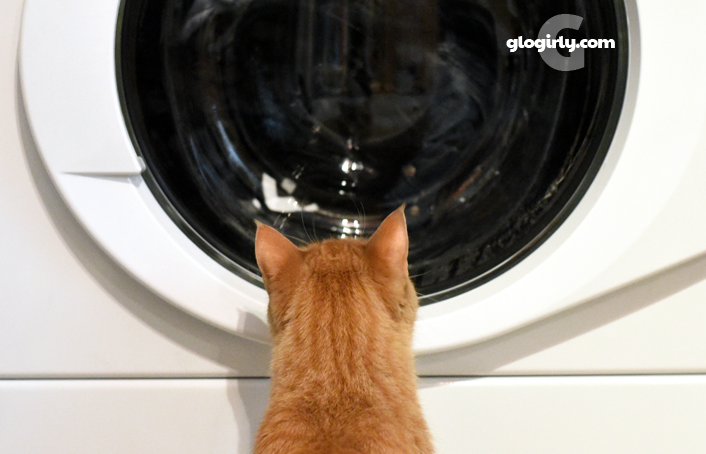 The head peep says that Glogirly is going to love her front-loading washer. We wouldn't know. Ours is in the garage where we can't watch it like Waffles can. If we were allowed to watch, maybe we could help when half of a pair of socks vanished, but no. The humans are on their own with that one. By the way, Mom says those missing socks never return!!! Watch out, he will be sleeping in there soon as you have to leave the door open or the washer turns into a mold factory. This is why I can never have a front load washing machine, Bear loves laundry and I am sure he would live in the front loader if I had one. That is such a cute story. 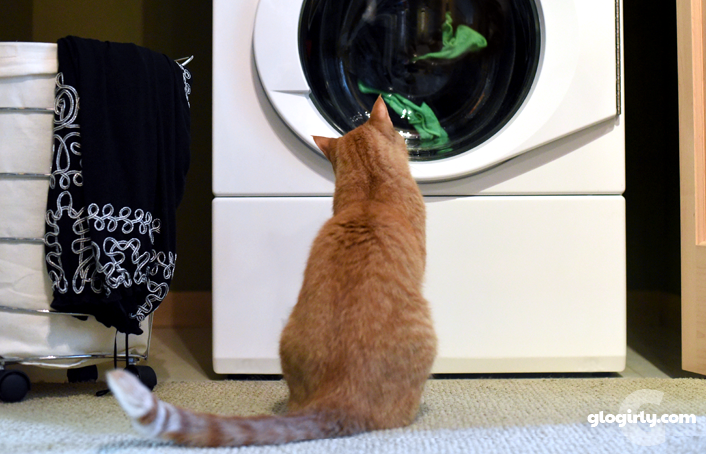 I suspect it would be fun for a cat to watch green things spin round and round. so, did the sock disappear? or will it happen in the next episode of As the Sock Twirls? That Waffles, such a character! I hope the green sock snatcher is caught in a future episode! That’s a nice space-age tv, I mean washer/dryer. Our’s is stackable and very old so we may be inquiring about how your girl liked it and what brand and all. Waffles, you are too cute. Mum got rid of the front loader with the window, now a huge top loader but no window! I absolutely love his helicopter ears!!! Now you have a new "kittysitter" for him. Just do laundry and he'll leave everyone alone. MOL!! !